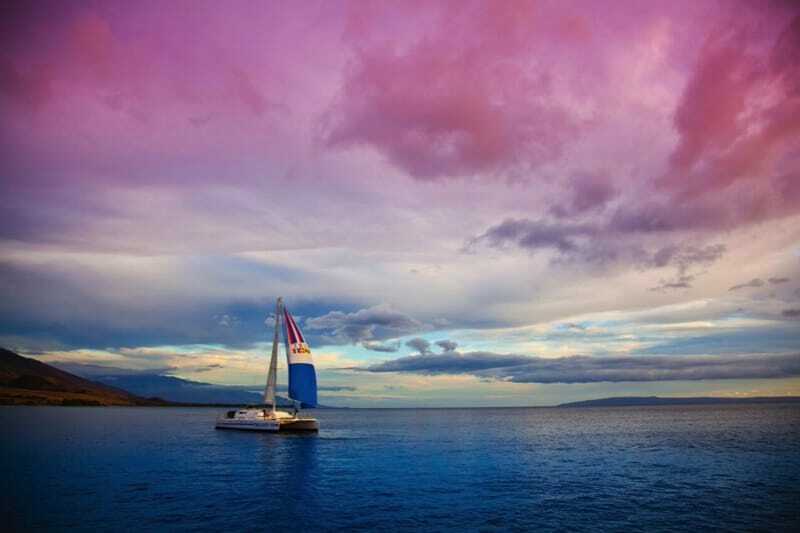 Take in a magical Maui sunset from the deck of this amazing dinner cruise! Our award-winning Sunset Dinner Cruise is an island experience not to be missed. All entrees are freshly grilled onboard during your cruise and all guests are guaranteed outdoor seating. Dinner includes appetizers, locally grown salad, a choice of entrées, dessert and an array of drinks. Island-style music and open sea views of Maui’s scenic coast add to the ambience of this memorable experience. For a guaranteed private table on the upper deck, please select the premium seating option. Standard seating on the lower deck. 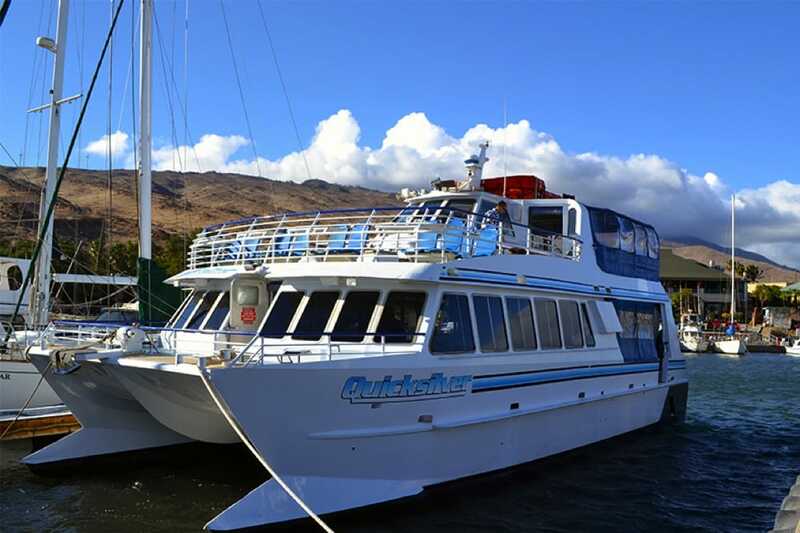 This cruise departs from historic Lahaina Harbor. Check-in is 45 minutes prior to departure. Please provide at least 48 hours advance notice for any changes or cancellations. Tours cancelled within 48 hours of departure are charged the full amount. Very enjoyable. Beautiful scenery, calm waters and calm winds. Great service-hats off to Giana our server. We enjoyed celebrating our 35th Wedding anniversary on this cruise. No live music but the music they play was pleasant. We had the premier seating and we were very pleased with where we were positioned. We were sitting out front just below the captains deck. Great view of everything. Food was good- we recommend this cruise. Knowledgeable staff...eco friendly.. saw whales on first trip... did a sunset dinner cruise and going dolphin watching with you guys. Wouldn't pick anyone else. We booked the sunset dinner cruise that sails out of Lahaina Maui and it more than exceeded our expectations! The crew was extremely friendly and charismatic and did a great job over all. The food was great! They had a grill right there on the boat so it was all fresh, they were also very conscious of food allergies. We set off right before sunset and got a gorgeous view of the whole island lit up in the setting sun. This was the perfect end cap to our trip as we went straight from the boat to the airport to catch our 10:30pm flight. Would highly recommend this company to couples and small groups.